Hey folks, Valkor here. And here's an Urban Legend for ya that's totally related to the review I'm about to present. So a woman walks out of a KFC with a 12 piece bucket. As soon as she gets home she dives in for the first piece and it's so damn good. She goes in for the second piece and it's just as good as the first. When she chomps into the third piece… something isn't right. When she looks down she sees that she has bitten into a deep fried rat. 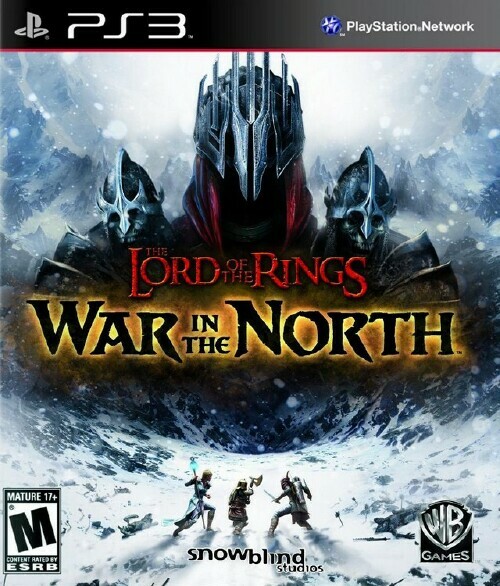 Well the folks at Warner Interactive served the Val-Man up a meal, Lord of the Rings: War in the North for the Playstation 3, that started out so delicious, but… something about this game doesn't taste right. Lord of the Rings: War in the North is a hack and slash action RPG that takes place parallel to the events in Lord of the Ring trilogy. 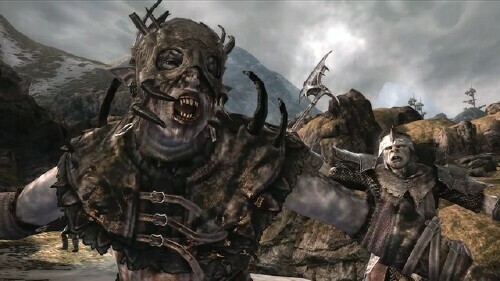 In either single or multiplayer, you control one of three characters, Farin the Dwarf, Andriel the elf and Eradan the ranger on a quest to the north where you hunt Aganduar, Sauron's lieutenant, who controls an army of Black Riders, Orcs, trolls, and other nasties, whom if not stopped will stand in the path of the fellowship who are on their way to Modor to destroy the ring of power and serious dark times shall befallmiddle-earth. 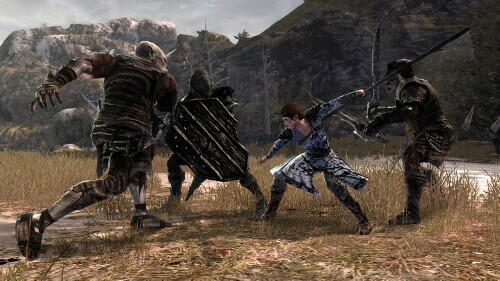 War in the North is a 3 player co-op, meaning its best played with three human characters, but single players can take on the journey with a computer AI controlling the other characters. 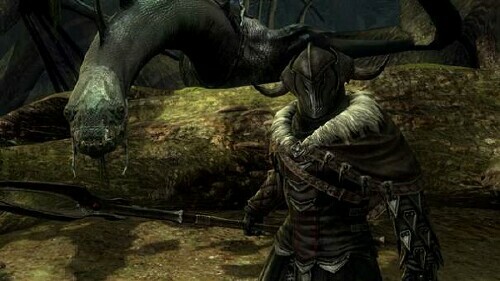 While each character possesses similar abilities in ranged and melee attacks (its all in presentation that makes them different), they possess certain skills that are unique only to them. For instant Andriel can mix herbs, Eradan can spot trails, and Farin can find weaknesses in rock walls. 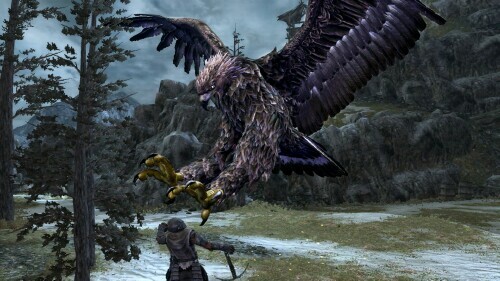 Another nifty special ability that the fellowship of three can use is to call on Beleram, a giant eagle that can take out swarms of enemies at once or remove obstacles that blocks their path. When it comes to loot, there's no "mine, mine, mine", everyone shares in the take plus you can share items, especially those that are of no use to you – there are certain weapons and armor that only specific characters can use, so it's best to pass them along. 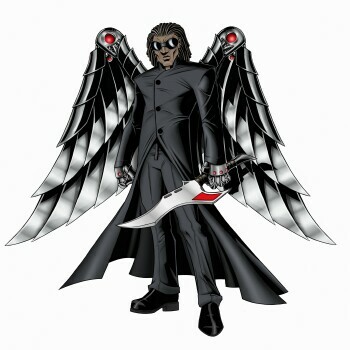 As an RPG you can level up your characters bt gaining experience defeating enemies thus earning points that will allow you to unlock new abilities, building up the characters skill tree. You can collect loot, which can be found almost anywhere such as in urns, in dirt piles, chests, and of course enemy drops, which consist of not only money but also special items, weapons and armor, which can be worn, given to other characters or sold. Also weapons and armor wear over time and have to be repaired once their durability decreases. You can visit any blacksmith in the towns who will repair your gear whenever needed, for a fee of course. This is a game based on the LOTR trilogy and as such you'll be able to speak with or go on quests for the fellowship characters such as Elrond, Aragorn, Frodo, Arwen, Bilbo, Gimli and the rest of the crew as well as new characters not seen in the film. You can go into dialogue with the characters where you're given a choice of questions and responses. But from what I've seen so far, the choices have no affect on the overall game. When a character gives you a task and you perform it, you'll be rewarded with a special item or a choice box where you can select one of multiple items. 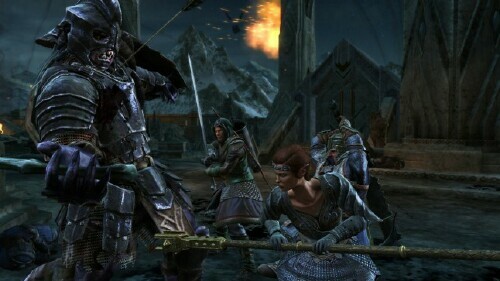 Combat is a mix of ranged and melee attacks where each character can perform one or the other. 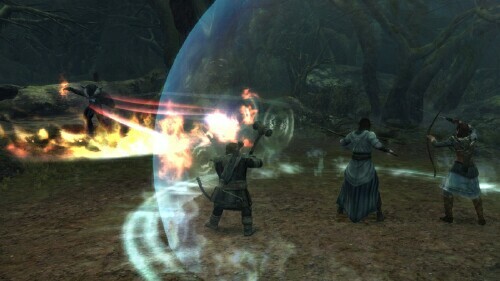 You can also perform a roll to dodge attacks as well as block. When you land a series of blows to the bad guys without getting hit, you then enter "Hero Mode" where your experience as well as damage you dish out multiplies. 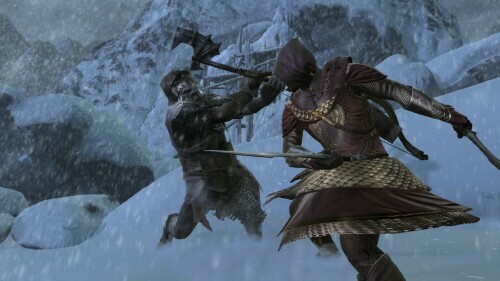 When a yellow arrow appears over the enemies head you press the triangle key to dismember or behead your foe. Critical attack like a mofo!! So right off the bat nothing appears misplaced and War in teh North seems to follow all the rules of what a good action/RPG should be... except one and I'll touch on that as I delve into the TOV Breakdown! War in the North has a lot of good going for it; for starters the co-op aspect is definitely unique and adds an exciting spin to the genre. The idea that certain characters can perform actions others can't adds a whole level of gameplay not seen in most games today. It's simple and it's all about finding hidden rooms and items, but imagine if Snowblind were making a sequel and say that hidden room contained a boss character only the Dwarf could locate, then my mind would be blown! The graphics, specifically the background is a plus because everything, even the murkiest of places like Barrow Downs, looks amazing! In addition, there are nice touches that just add to the beauty such as reflective puddles or the winds picking up dust and swirling it around. Those are elements you don't see in many games… or at least I haven't. So many games… so little time… The controls are spot on; attacking, dodging and pulling off those special moves aren't too complicated and though your characters are a little sluggish on the walk, thankfully they have a sprint that gives a nice boost in speed. Finally the music is amazing; not very cinematic but each piece fits with each scenario, changing up depending on the situation plus you can hear snippets from the film's original score; very, very beautiful. To round things out, the story – solid! The action – love it! 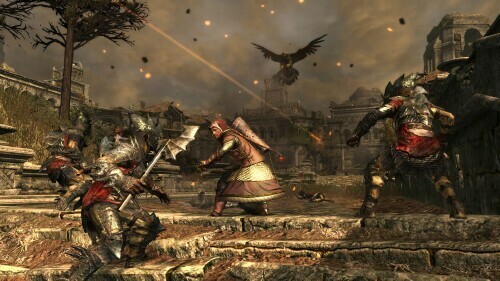 And the multiplayer aspect of the game is one that needs to be experience, while I don't know many people that play it, you can find people online creating this unique bonding experience. And that's where I have to stop because I've run into a problem and I'm sure anyone who has purchased the game has probably run into as well. The multiplayer aspect of the game is a great idea! Leaving out the single player by not being able to swap characters at will? VERY BAD IDEA!!! Marvel Ultimate Alliance is one of my favorite multiplayer/character games that allows me to swap characters on the fly, making use of each characters special abilities. War in the North one-ups that by creating characters with a unique ability to access certain areas that the other characters don't know is there. This element works great when you're playing with other human characters, but the big question is: how often will you have other human characters to play alongside? I'm a night owl, meaning I enjoy staying up late into the night until dawn and there's hardly anyone that I know of that's still awake to join me on a quest or two, let alone online. So now I have two computer controlled characters with no way to swap out, update when I want, or increase their skills as needed. Oh wait there is a way, but the process of swapping characters in this method is ridiculous! You can either change before you start the game or when you replay a level and go onto the next stage. You can also change characters when you return to a hub town. It really is a process that's more frustrating than it sounds. I understand the whole "bonding the players" and such, but what about replay? Let's say a year from now I want to play this game again? Why should I if I can't swap? You know what? Forget the fact that I can't swap out the characters, that's fine because in most RPG's you really can't do it, but guess what you can do? You can update your characters on the fly, which is something you CANNOT do in this game! 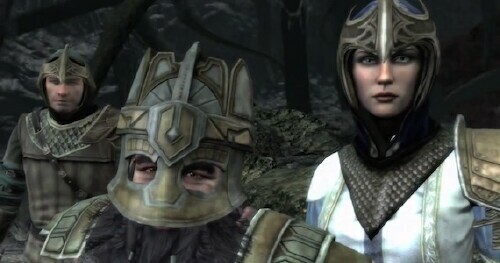 If I'm a ranger and my dwarf and elf level up, I can't apply skill points to teach them new abilities or make them stronger when I need to and the computer doesn't apply those points automatically nor does it equip the characters with newer, better weapons and armor!! It's frustrating! The character models during the cinematics – very creepy. This works great for Frodo who is succumbing to the powers of the dark ring, but wait till you see Arwen. Wooooo, scary! Lord of the Rings: War in the North is a game that I love and at the same time I hate. There's so much good about it such as the story, music, and action and yet it's that one bite – not being able to swap/update characters during single player mode that ruins what should be an awesome experience. I'm still playing through because I really want to see how it ends, but for how long I'll continue this journey… well, let's see how well my patience holds up. Be that as it may out of TOV 5 stars, I War in the North gets a 2.5.